Title: Guitar Signature Licks. Artist: Albert King. 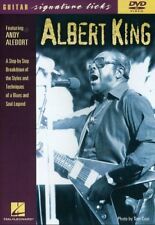 Distributor/Studio: Hal Leonard Aledort teaches King's style through analysis of 8 tunes. Format: DVD. Region: DVD: 1 (US, Canada.). 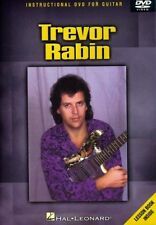 Artist: Trevor Rabin. Title: Instructional DVD for Guitar. Format: DVD. Region: DVD: 1 (US, Canada.). Title: Slap Bass. Format: DVD. Region: DVD: 1 (US, Canada.). Distributor/Studio: Hal Leonard Instructional DVD. 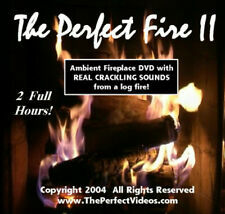 The DVD features the REAL authentic crackling sounds of the wood logs burning. It is crisp, gentle, and relaxing. There is NO music. You can always turn down your speakers and watch the fire without any sound or play your own favorite music and have fun with your fireplace anyway you like. 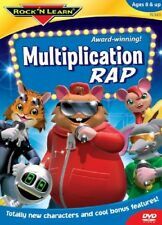 Title: Rock N Learn: Multiplication Rap. Distributor/Studio: Rock N Learn. Format: DVD. Region: DVD: 1 (US, Canada.). Title: Beginning Drums 1. Format: DVD. Region: DVD: 1 (US, Canada.). Distributor/Studio: Hal Leonard Instructional DVD. Release Date: 2002. Genre: Classical Artists, Music Video (Concert/Performance). Format: DVD. Region: DVD: 1 (US, Canada.). Title: Contemporary Keyboardist. Format: DVD. Region: DVD: 1 (US, Canada.). Original Language: ENG. Title: Rockabilly Guitar 1 & 2. Format: DVD. Region: DVD: 1 (US, Canada.). 1 and 2 in the series. Original Language: ENG. On Killer Piano, Jerry discusses his youth. Title: Killer Piano. Actor: Jerry Lee Lewis, Linda Gail Lewis. Format: DVD. Region: DVD: 1 (US, Canada.). Title: Rockin Grooves. Format: DVD. Region: DVD: 1 (US, Canada.). 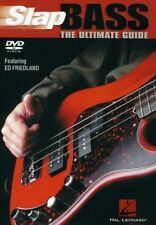 Distributor/Studio: Hal Leonard Bass instructional DVD. 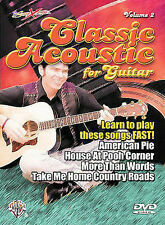 Title: Instructional DVD for Guitar. Artist: Albert Lee. Actor: Albert Lee. Format: DVD. Region: DVD: 1 (US, Canada.). Original Language: ENG. Title: Pedal Steel Licks. Distributor/Studio: Centerstream Learn how to play 30 classic beginnings, endings, turn-arounds, and fill-ins to popular pedal steel licks on the guitar. Format: DVD. Region: DVD: 1 (US, Canada.). Format: DVD. Region: DVD: 1 (US, Canada.). Original Language: ENG. Rated: UNR. Title: Curriculum Vitae. Curriculum Vitae is the latest video recorded with Peter Barden's before his death in 2002. Format: DVD. Region: DVD: 0/All (Region Free/Worldwide). Attributes: Explicit. Title: Z-Ro Vision DVD. Format: DVD. Region: DVD: 1 (US, Canada.). Original Language: ENG. Rated: UNR. Artist: Helmut Lotti. Title: Goes Classic (Castle Album). Format: DVD. Attributes: Canada - Import. Title: Beginning Rock Lead Guitar. Format: DVD. Region: DVD: 1 (US, Canada.). 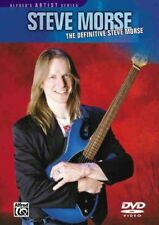 Distributor/Studio: Hal Leonard Instructional DVD. Release Date: 2004. Experience Miami like you never seen! Features Diddy, Kanye West, 50 Cent, Hurricane Chris, Uncle Luke. Attributes: Ac-3/Dolby Digital, Dolby. Format: DVD. Region: DVD: 1 (US, Canada.). Title: Acoustic Guitar of Jorma Kaukonen. Actor: Jorma Kaukonen. Format: DVD. Region: DVD: 1 (US, Canada.). Original Language: ENG. Title: Use Your Illusion 2. Artist: Guns N' Roses. Actor: Guns N' Roses. Distributor/Studio: Geffen Starring Guns N' Roses. Attributes: Australia - Import, NTSC Format. Video Format: NTSC. Title: Learning to Flatpick: Lessons 1-3. Format: DVD. Region: DVD: 1 (US, Canada.). Distributor/Studio: Hal Leonard Instructional DVD. Title: Southern Banjo Styles: One Songs. Format: DVD. Region: DVD: 1 (US, Canada.). Original Language: ENG. Artist: Steve Morse. Title: Definitive. Format: DVD. Region: DVD: 1 (US, Canada.). Original Language: ENG. This DVD is 80 minutes long and features Jimmy Vivino on guitar. Title: Guitar Signature Kicks: B.B. King. Format: DVD. Region: DVD: 1 (US, Canada.). 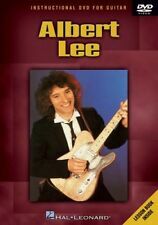 Distributor/Studio: Hal Leonard Instructional DVD. Rated: UNR. Title: Bozzio & Wackerman: Duets 2. Actor: Chad Wackerman, Terry Bozzio. Format: DVD. Region: DVD: 1 (US, Canada.). Original Language: ENG. Music is powerful. Hope born from the reality of a living God who loves us unconditionally and has a plan for our lives. Midnight Cry. Written In Blood. Greater Still LIVE. Greater Still. I Think I'll Read It Again. Joy To the World featuring the Mormon Tabernacle Choir DVD 2004 Multi Language! Joy To the World featuring the Mormon Tabernacle Choir DVD 2004 Multi Language English with Voice Over in 10 other languages and subtitles in 7 and closed captioned in English! Title: Verdi: MacBeth / Various. Format: DVD. Region: DVD: 1 (US, Canada.). Video Format: PAL. Title: Learn to Play Songs from Are You Experience. Format: DVD. Region: DVD: 1 (US, Canada.). Release Date: 2001. Genre: Music Video (Concert/Performance), Special Interest-Instructional. Each concept is clearly demonstrated by this outstanding university ensemble. Title: Creative Director: Alternative Rehearsal Technique. Format: DVD. Region: DVD: 1 (US, Canada.). Original Language: ENG. Title: John Sebastian Teaches Blues Harmonica. Actor: John Sebastian. Distributor/Studio: Hal Leonard John teaches the basics in a friendly, jam-along lesson. Format: DVD. Region: DVD: 1 (US, Canada.). For Your Consideration Pre-Owned: The Story Of Yardbirds - DVD - Multiple Formats Color NTSC in Mint Condition! 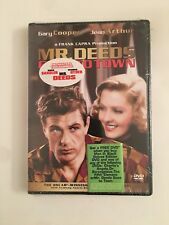 Format: Multiple Formats, Color, NTSC Record Type: DVD. Release Year: 2008. UPC: 654979049043 Format: Multiple Formats, Color, NTSC. Record Type: DVD Record Label: Alfred Music. DVD Region Code: R1. DVD, Movie, Christmas, 2005, New. NTSC/Region 0/80 minutes. Hi-Fi Sound. Title: Pressure Points. Format: DVD. Region: DVD: 1 (US, Canada.). Live at the Beacon Theater. Publisher: DVD in very good condition. Light scuff to case. Protected in an archival poly bag. Our complete policies and procedures are detailed below Spine separation occurs at the head (top) of the spine where the fingers grab and pull the book from the shelf. Authentic US RELEASE, exactly as pictured, plays perfect without issue. In order to qualify as heirs to the family fortune of the ailing Christopher Dean (John Carradine), four people must spend the night in the family estate. When night falls, the terror begins in this 1970s horror cult classic. In good pre-owned condition, see pictures. 2 MOVIES ON 1 DVD. "He lived only for revenge.She lived only for his love! Quirt Evens (John Wayne) is a gunslinging villain in the Old West, wounded in a botched bank robbery. Title : The Jazz Channel Presents Lou Rawls (BET on Jazz). Actor : Lou Rawls. Format : Color, Dolby, DTS Surround Sound. Release Date : 2000-11-14. Theatrical Release Date : 2000-11-14. Digital Code may not work or missing.